Even as we approach the vibrant summer months, and the days grow long and bright here in California, I’ve been thinking about winter. I grew up in France which has long, gray, snowy months sometimes starting as early as October. Now that I live in Los Angeles and bask in the sunshine nearly every day, I sometimes get pangs of nostalgia for those cold, meditative days of being snuggled up inside and watching the bare tree branches wave against the sky. I snap out of those pretty quickly and run outside and smell flowers or chase butterflies. Even if it’s January. Yes, the weather here is dreamalicious. But I think there is something to seasons. They’re a perfect metaphor for human life- not least of which is our ambitions. Some of the self-help world is pushing to “achieve”, climb, “conquer” and “master” the self. We definitely need to find the fire to get where we want to go. And we need to overcome the inertia that can come from fear. But Mother Nature is far wiser than the ego. Have you ever worked so hard that you’ve nearly forgotten what it was you set out to do in the first place? Sometimes, after sitting at my desk for ten hours at a stretch, I am nearly delirious. I’ve certainly gotten things done but I’m not entirely sure how well. Or how creatively. Or how self-lovingly. My daughter will sometimes call at these moments and remind me I have a name. And a greater purpose. The ancient Chinese Philosopher Lao Tzu said, “Nature does not hurry, yet everything is accomplished.” Ah, yes. Now we’re getting somewhere. Farmers know that crops must be rotated in order to keep the land fertile. And sometimes, land must go unplanted for a period of time in order to fully regenerate the nutrients in the soil. Is this unproductive? I think you know the answer. Your inner ground needs winter. Plant your seeds and let go. Give more respect to the cycles that govern the earth- they’re good for you too. 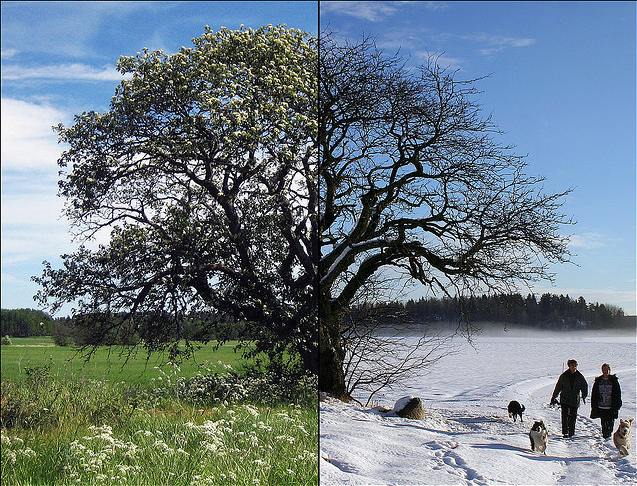 Winter gives birth to the buds of spring and the glory of summer. So rest. Revive. Renew. Embrace your seasons.